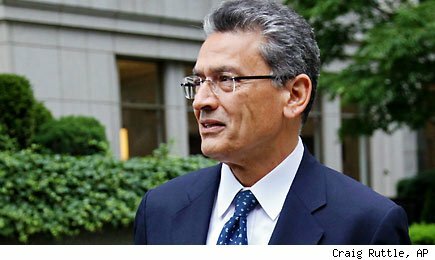 NEW YORK (Reuters) - Rajat Gupta, a consummate business insider who once sat on the board of Goldman Sachs Group Inc, was convicted on Friday of leaking secrets about the investment bank at the height of the financial crisis, a major victory for prosecutors seeking to root out illicit trading on Wall Street. A Manhattan federal court jury delivered the verdict on its second day of deliberations, finding Gupta fed stock tips to his hedge fund manager friend Raj Rajaratnam gleaned from confidential Goldman board meetings. He was found guilty of four of six criminal counts and could face a prison term of up to 25 years. The conviction burnishes the record of the U.S. Attorney's Office in Manhattan, which has spent the last several years aggressively prosecuting insider trading. More than 60 people have pleaded guilty or been convicted in cases brought by the FBI and the Manhattan U.S. Attorney in the past four years. In its case against Gupta, who headed elite business consultancy McKinsey & Co for nine years and is the most prominent person charged in the insider-trading crackdown, the government faced a challenge. There was no evidence he traded on any of the information he allegedly leaked and the government did not have the trove of FBI wiretaps that helped win a conviction of Rajaratnam a year ago. Jury foreman Rick Lepkowski told reporters after the verdict: "On the counts we convicted, we felt there was enough circumstantial evidence." He said wiretaps in which Rajaratnam was heard telling two of his traders about the board information "didn't tip the balance." The verdict capped a four-week trial that featured Goldman CEO Lloyd Blankfein as a star government witness. All of the counts Gupta was convicted of involved tips and trades in Goldman stock in September and October 2008, including passing inside information on a crucial $5 billion investment by Warren Buffett's Berkshire Hathaway Inc.
As the verdict was read in court by the jury foreman, there was a gasp when Gupta was pronounced "not guilty" on the first count of securities fraud. It involved whether Gupta told Rajaratnam about Goldman's quarterly earnings after a March 12, 2007 board meeting. He was then declared guilty on three other securities fraud counts and a count of conspiracy. Gupta, 63, was also found not guilty of divulging the quarterly earnings in January 2009 of Procter & Gamble Co, where he also served as a board member. After the verdict, an ashen-faced Gupta glanced grimly back at his wife and daughters. Later, the family stood together hugging in the courtroom as Gupta tried to console his distraught, sobbing daughters and wife. "This is only Round One," his defense attorney, Gary Naftalis, told reporters. "We will be moving to set aside the verdict and will, if necessary, appeal the conviction." Gupta, who lives in Westport, Connecticut, is also a former director at American Airlines Corp and had ties to a prominent business school in his native India. Well known in philanthropic circles, he advised groups such as the Bill & Melinda Gates Foundation to help fight AIDS, malaria and tuberculosis in developing countries. Jury foreman Lepkowski said he was impressed by Gupta's "storybook life" up to the time of the allegations and his family's support. "I wanted to believe the allegations weren't true," said Lepkowski, 51, a non-profit group executive from Ossining, New York. "At the end of the day, when all of the evidence was in, it was in my opinion, overwhelming." Another juror, child welfare worker Ronnie Sesso, 53, said the jury, which also included a nurse, a teacher and a school counselor, struggled to determine what Gupta's motive might have been in passing tips to Rajaratnam. "Gupta was a true friend," she said. "Raj was a snake in the grass." Since being implicated in the Rajaratnam case more than a year ago, Gupta has denied the charges. His lawyers said Rajaratnam cheated Gupta out of $10 million and the two men had a falling out in 2008. They argued that prosecutors "had no real, hard, direct evidence" against Gupta, who did not take the witness stand after signaling late in the trial he might. U.S. District Judge Jed Rakoff scheduled a tentative sentencing date of October 18. The maximum sentence for securities fraud is 20 years and the maximum sentence for conspiracy is five years, although it seems unlikely that Gupta would receive such a heavy punishment. Rajaratnam, founder of Galleon Group hedge fund, was convicted of 14 counts of securities fraud and conspiracy last year and is serving an 11-year prison term. He turned 55 years old on Friday in prison near Boston. Earlier this month, a New Jersey federal court handed a 12-year sentence - the longest ever for insider trading - to a corporate lawyer whose illegal conduct stretched over 17 years. In another tough sentence, a Houston federal judge sentenced disgraced financier Allen Stanford on Thursday to 110 years in prison for a $7 billion fraud that swindled investors out of their savings. Two former executives of hedge funds Level Global and Diamondback and one trader who worked at SAC Capital Advisors unit Sigma, at the time of his arrest, could be the next significant criminal insider trading trial in October. 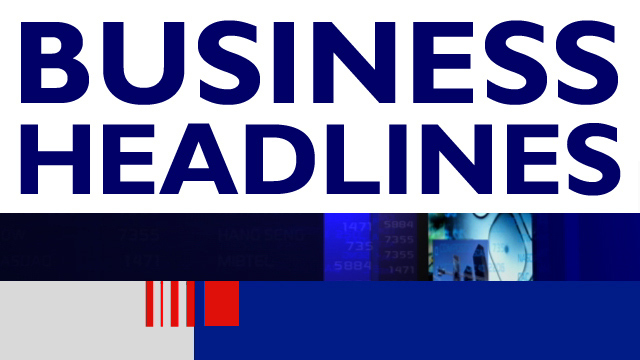 They deny charges of running a $62 million scheme on Dell Inc stock. Level Global no longer manages money. Diamondback has settled civil insider trading charges. SAC has not been charged. Gupta "achieved remarkable success and stature, but he threw it all away" Manhattan U.S. Attorney Preet Bharara, who was also born in India, said in a statement after the verdict. "Violating clear and sacrosanct duties of confidentiality, Mr. Gupta illegally provided a virtual open line into the board room for his benefactor and business partner, Raj Rajaratnam." Jacob Frenkel and Andrew Stoltmann, two lawyers who were not involved in the Gupta trial, said the verdict surprised them because they believe juries nowadays come with what they termed a "CSI mentality" from the popular TV drama series "CSI: Crime Scene Investigation" where the evidence is direct. "The partial guilty verdict suggests that the jury did in fact distinguish between the evidence in the counts, but that does not make me any less surprised because of the way I think juries tend to look at cases now," said Frenkel of Shulman, Rogers, Gandal, Pordy & Ecker in Potomac, Maryland. Chicago securities lawyer Andrew Stoltmann, who predicted Gupta would be found not guilty, said, "Without real wire taps of Gupta, the jury was still able to connect the dots and bought into the prosecutor's arguments." Among the most dramatic contentions at the trial was the prosecutors' charge that Gupta told Rajaratnam about the Buffett investment in Goldman at the height of the financial crisis. Part of the prosecution's evidence was that within a minute of disconnecting from a September 23, 2008 board call approving the investment, Gupta called Rajaratnam at his Galleon Group office in New York. Rajaratnam then hurriedly ordered his traders to buy as much as $40 million in Goldman stock because only minutes remained before the market closed. In an emailed statement, a Goldman spokesman said the firm was "disappointed that Mr. Gupta breached his duties as a director and violated our shareholders' and the firm's trust." McKinsey & Co, where Gupta worked for 34 years, has cut ties with him and declined to comment on the trial.